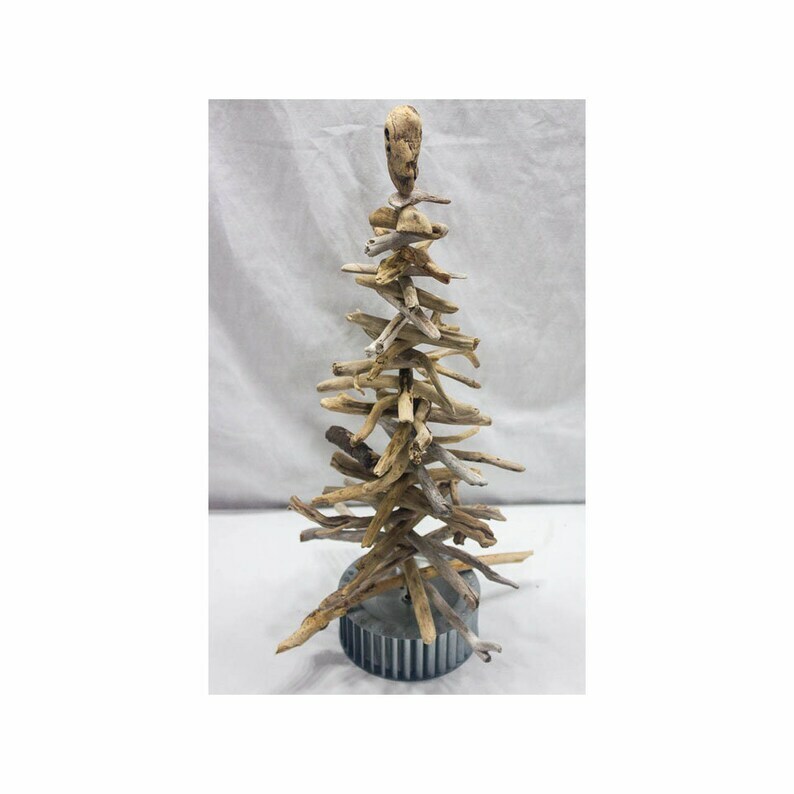 Driftwood tree made from natural driftwood collected on the North Shore of Lake Superior. 20" tall and 11" wide. Base is furnace fan blade. Driftwood pieces slide onto a metal rod and can be rotated. You will receive the exact driftwood piece as shown in this listing.